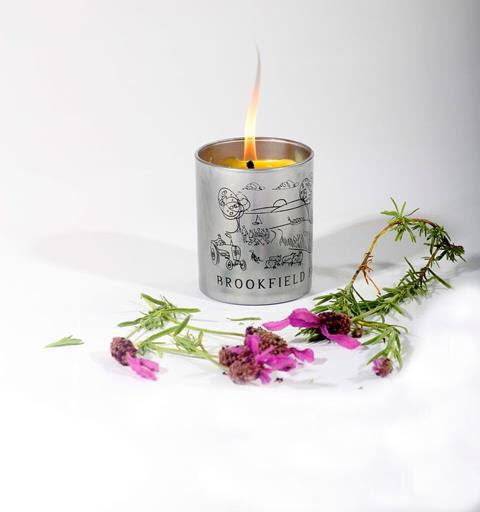 Welcome to your Winter Brookfield Farm newsletter. First of all, a most heartfelt thank you to all our supporters, we would not be here without you. We made a little thank you video - see it here- THANK YOU and Happy Christmas! We wish you and yours a peaceful and merry time. Welcome to your July Hiveshare newsletter. Hiveshare 2018 Honey Celebration is nearly with us -Sunday August 19th. We can't wait! Please book here if you would like to come for the day on the farm (free to Hivesharers, but need to book). And there is an additional attraction, a delicious Brookfield lamb bbq on offer too. Not only bees- Lamb too! Organic grassland with lakeshore herbs is an important part of our farm. We know that grassland is important for biodiversity, wild hares and other animals love our meadows. 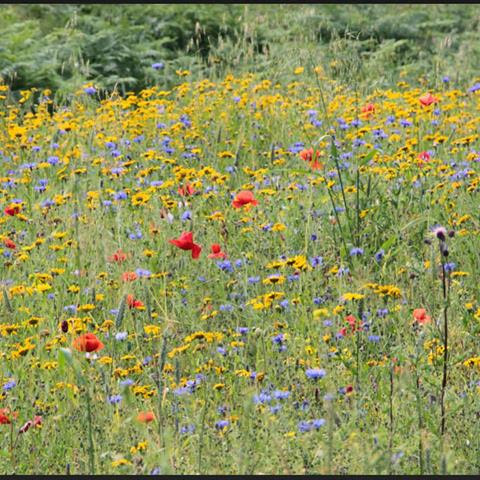 Also the grassland grows wildflowers for our bees. Brookfield Farm Hiveshare Greetings. You are very welcome to Brookfield Farm Hiveshare 2018, the the fourth year for Hiveshare, already. 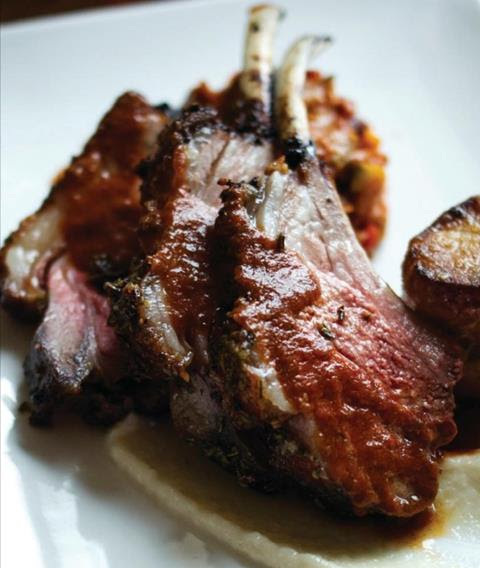 Find out farm news and book a lamb below! Welcome to your Winter Brookfield Farm newsletter. We have been beavering away to get Hiveshare honey to everyone subscribed this year to November 2017. Our bees are settled after the autumn. Until recently they were still collecting nectar and pollen from ivy flowers. There are a few more chances before Christmas to get our fabulous Hiveshare and Hivegifts - even Design Ireland loves them. Thank you for your support this year, we look forward to 2018! Welcome to your Brookfield Farm Autumn newsletter. How was your summer? We loved this summer, although it wasn't quite as sunny and leisure filled as we would have liked. 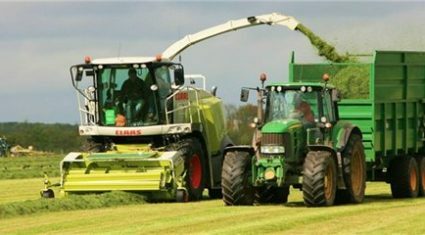 We really enjoyed all our farm open days this summer. We had a lovely sunny day for our Brookfield Farm biodiversity walk and honey tasting July 23rd. Experience Yoga in Nature was another shiny day, with happy yoga practices by the farm lakeshore. Our Hiveshare community visited Brookfield Farm for the 2017 Honey Celebration on August 20th. Happy Hivesharers collected their honey boxes full of Brookfield Farm delicious honey and had a lovely rural day, although it was a little damp. A Hivesharer sent on beautiful photos of the day - thank you Paul! The Honey Celebration day was rounded off nicely with our Organic Lamb BBQ - a veritable feast! But that wasn't the end of the events, we finished with a Heritage Week event on August 23rd - Badger Watching and Stargazing. Everyone loved this evening - the setting sun and beautiful views over Lough Derg. We have interesting bee information and great farm photos and videos on Facebook - do like our page for lots of lovely extras, including special draws and competitions for Brookfield Farm followers! 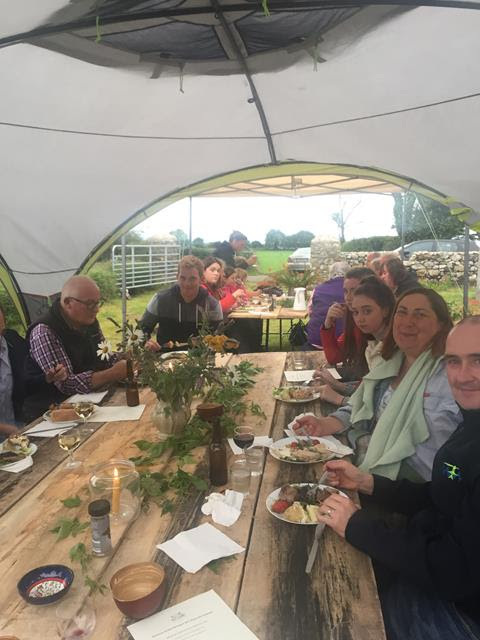 Brookfield Farm up for food awards! Did you know that Brookfield Farm raw honey is in the national finals for Blas na hEireann food awards? Very exciting... We will know more on the 30th September, follow us on twitter @farmbrookfield and Facebook. Don't forget our gorgeous video here too! A children's book - we are participating with our friends Fiona Dillon and Tipperary Food Producers to produce a fun book about food. Hiveshare news: Hiveshare 2017 runs from September 2016, Hiveshare Cert no. 1178 and higher. Lots of 2017 Hivesharers wrote asking could they meet us and collect the honey. So we are arranging a couple of collection points in Dublin - Blackrock and Rathmines during October and November. Meet Ailbhe, pick up your Hiveshare and have a chat about the farm and your honey. Let us know if you would like to meet and collect your honey - email us honey@brookfield.farm and we'll arrange a suitable collection time and place. Really looking forward to meeting you! 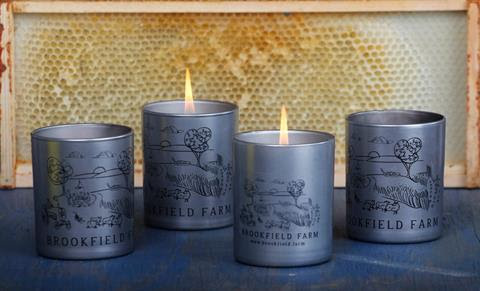 We have now harvested Brookfield Farm honey. We left the bees their share, and we have enough between our harvest and our mentor beekeeper to meet our Hiveshare commitments. Brookfield Farm is now filtering and jarring and packing honey boxes for Hivesharers. A busy, sticky, but very satisfying task. There are a few different types of honey, depending on the flowers the bees visited - examples are blackberry and clover, with a contribution from tree blossoms and whitethorn, and some heather and ivy blends. We are allocating where possible different honey types to the Hivesharer allocations, so you can taste the natural differences. Ailbhe is nearly finished her report, researching farms selling direct to consumers. 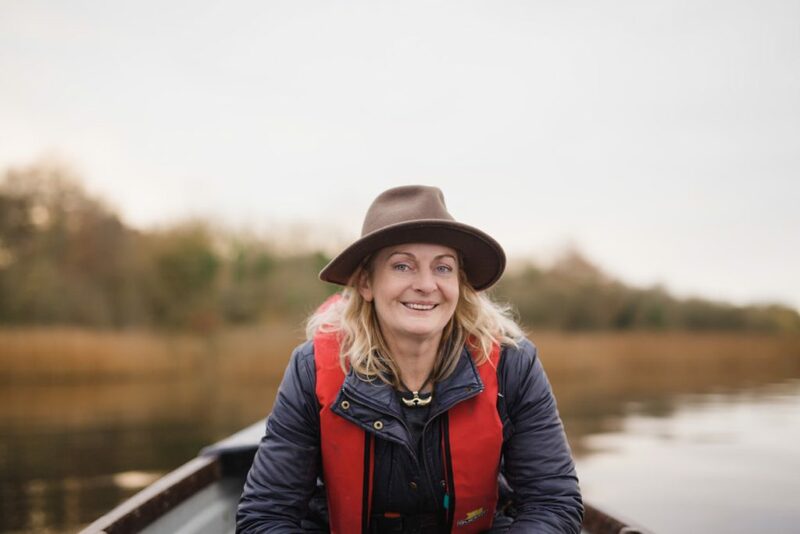 She will be presenting at the Nuffield Irelandconference October 6th. 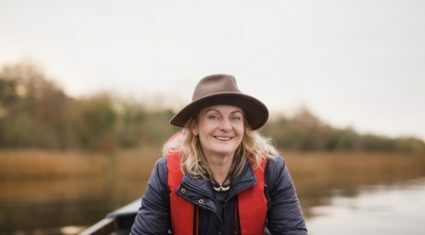 Ailbhe is also teaching Equine and Agricultural students in Gurteen Agricultural College. We have our new flock - certified organic lambs. Order now.. only €20 to reserve your tasty and healthy lamb delivered to your door for delicious tasty dinners this autumn and winter. 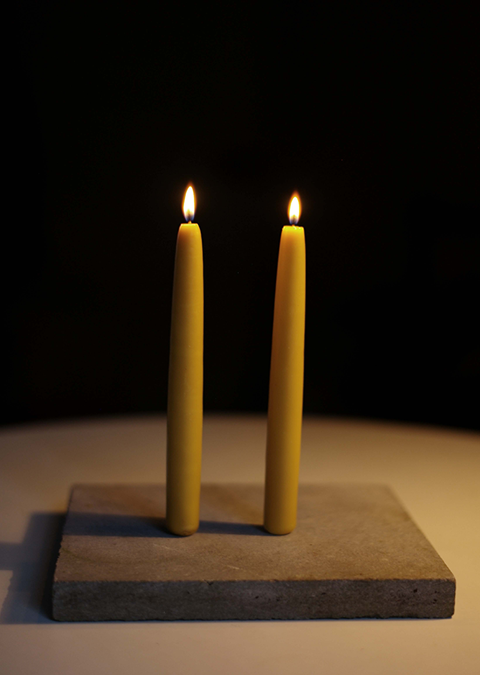 Marie from Clare has won a selection of our gorgeous handmade beeswax candles. She was pulled from a raffle at Bloom - we are delighted Marie. Your prize is on its way to you. We love making our natural candles - pure beeswax hand poured and hand dipped candles. Have a look at our range - they make super gifts! Do let us know how you are enjoying the newsletters and Hiveshare. And we'd be delighted to hear your comments - email or phone and we're thrilled to chat.